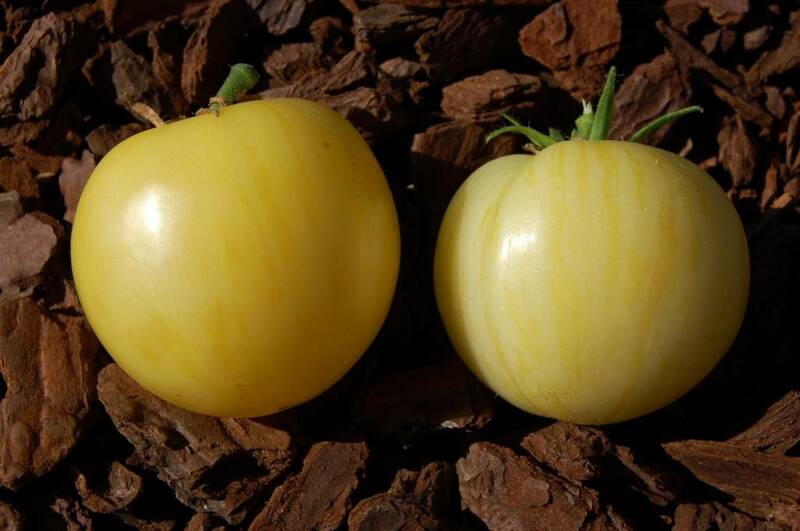 A recent variety developed by an amateur gardener from the San Francisco area. Round fruit from 100 to 180grams, discreetly ribbed at the top with wavy shoulders. 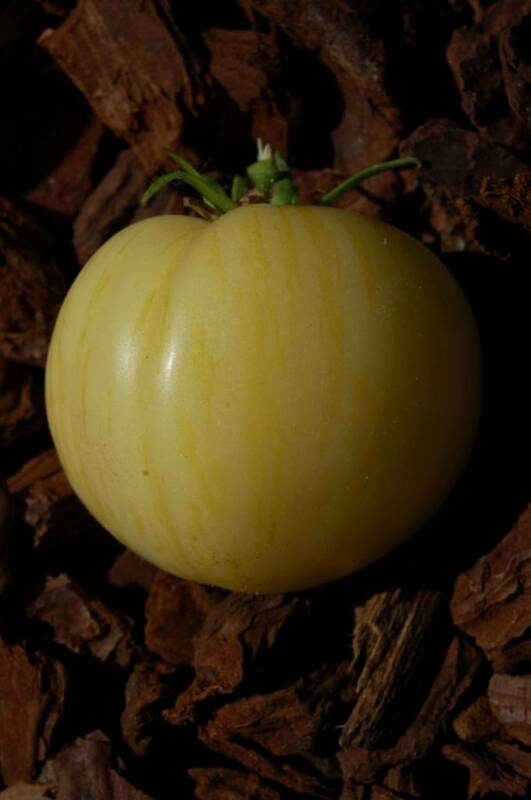 Creamy white colored skin with pale green stripes turning yellow at full maturity. 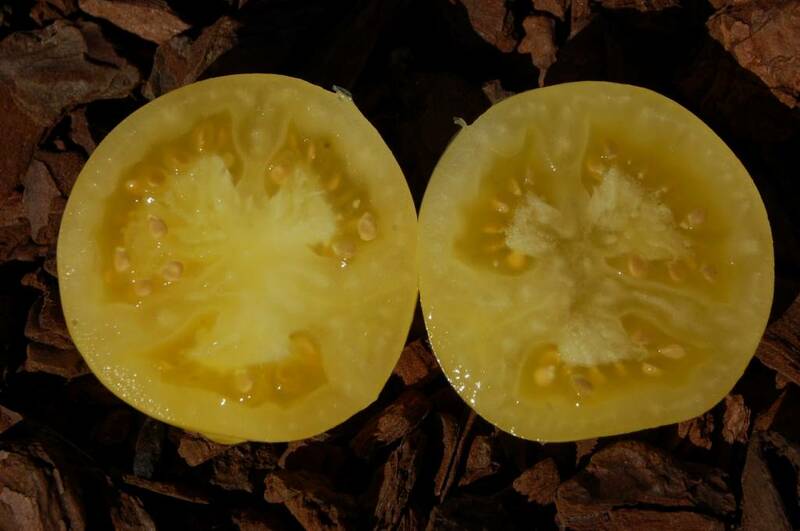 Juicy flesh with good flavor, reminiscent of "Green zebra", which is at its peak just before full maturity. Robust and stubby plant with bushy growth from around 1,8m - 6ft, determinate.